This Achievement is pretty self-explanatory; once you unlock 3 Perk Slots on an Engineer simply equip any Perk to each slot and the Achievement will pop immediately. The more you drive with somebody as your Engineer, the more Perks you unlock. 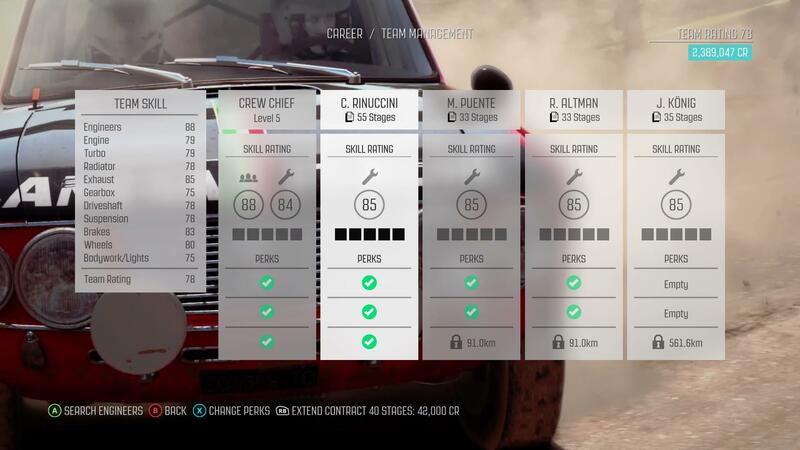 In order to unlock all 3 Perk Slots you need to drive for 1,000 miles (1,609 km). This will occur naturally as you complete more and more Career Championships. There are currently no gaming sessions for the Percolated achievements that you can join - why not register and make a new session?